An exceptionally popular door style, timber entrance doors are incredibly reliable, having received a number of improvements over the years. Despite their traditional origins, they’re available in a diverse range of styles, ensuring compatibility to both modern and contemporary properties. As your entrance door is the first part of your home seen by passers-by, it’s imperative that it makes a good impression. Fortunately, we’ve got you covered. Utilising the stunning appearance of genuine timber, supplied by George Barnsdale, and beautifully crafted decorations, the impression given off will be nothing short of exceptional. 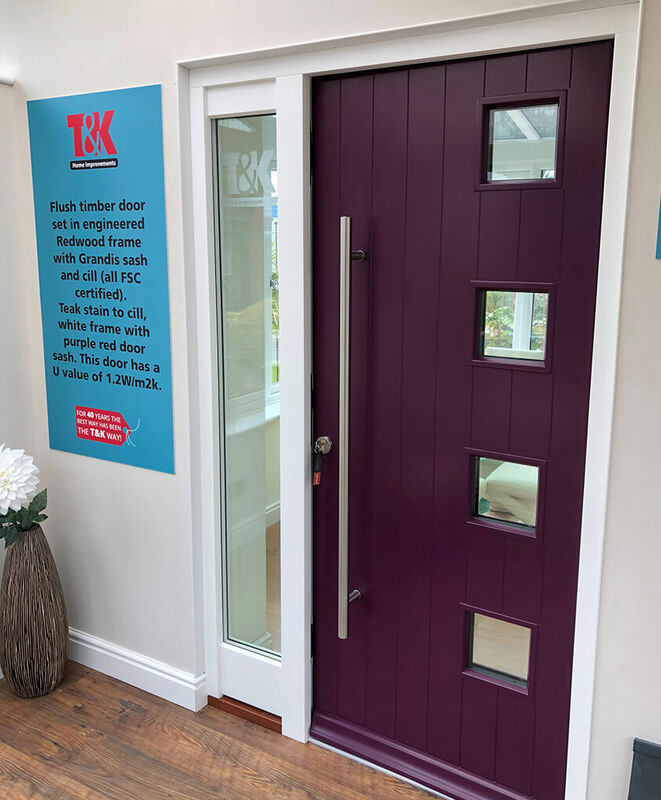 Utilising modern manufacturing techniques, our timber entrance doors are able to achieve impressive levels of thermal efficiency, ensuring they’ll retain the heat in your home extremely well. And as they’re fitted with industry leading security hardware, you can relax in a totally comfortable environment. 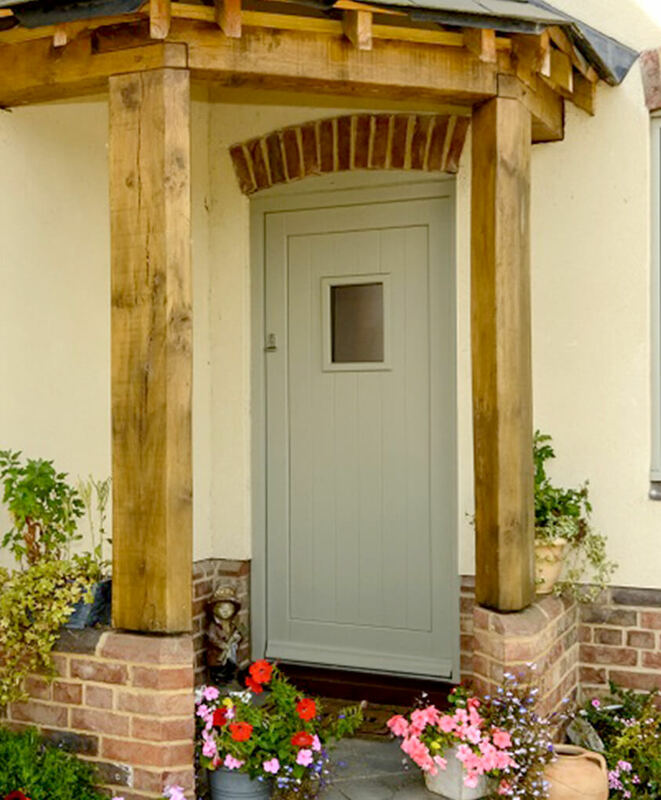 T&K offers a bespoke design service for our timber entrance doors, giving you complete freedom of choice. Concealed gaskets are in use between the door and the frame, ensuring your home is expertly protected from the weather. Available with standard, heritage or auto locking systems, to suit all entrance door requirements. Our timber entrance doors can incorporate a portion of glass, which can be customised with a beautiful selection of decorative patterns. Rest assured that levels of security will not be compromised when opting for a portion of glass, as the glass we use has been security laminated. 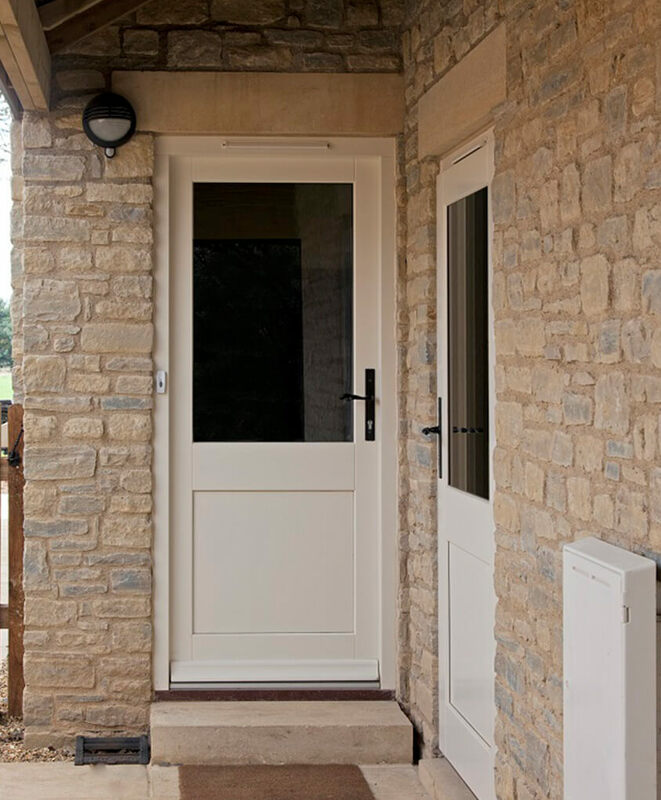 Utilising expert craftsmanship that has been continuously refined for over a century, the quality of wooden framing used on our timber entrance doors is truly astounding. However, T&K also provides entrance doors with uPVC and aluminium framing. 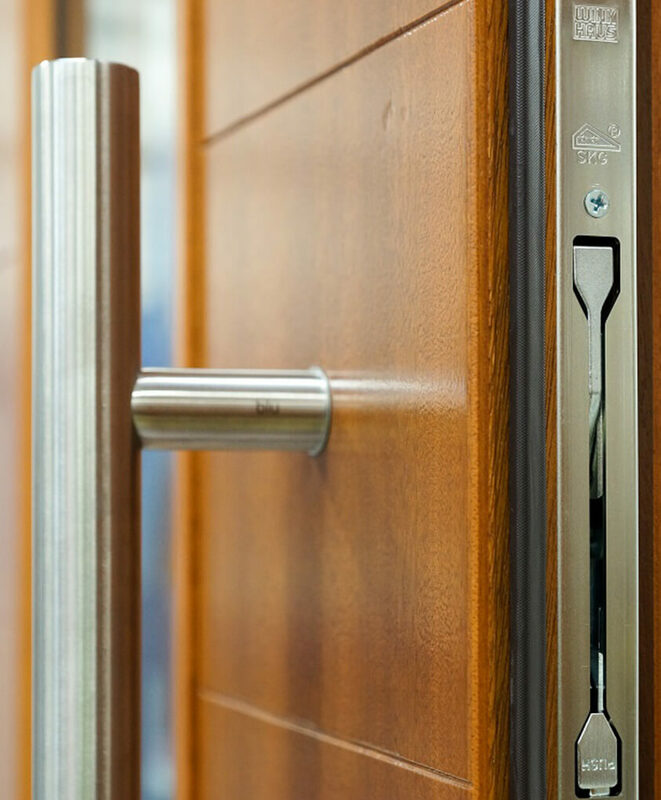 Customise the doors to your liking with a choice of handles, letter plates, knockers, numerals and more, all of which are available in a range of beautiful finishes. The choice of finishes includes, but is not limited to, Brass, Pewter, Bronze and Chrome.